Passion, explosivity, sorrow and joy. “GLOW” with Weurlander & Pomona String Quartet. Tour and recording jan-feb 2019. 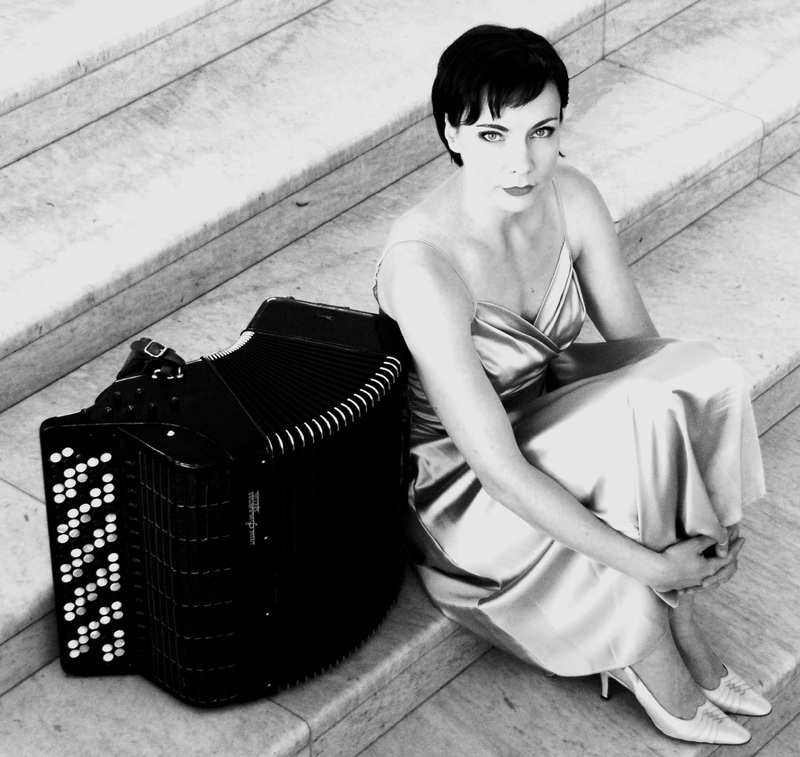 Minna Weurlander-accordion. Music by Saul Cosentino, Kurt Weill, M.Weurlander. Pomona String Quartet: Inga Zeppezauer-violin,Kanerva Juutilainen-violin,Rastko Roknic-viola, Viktor Nordliden – cello. 20/1 2019 Höör, 23/1 Ängelholm, 27/1 2019 Karlshamn. Recording at GULA STUDION in Malmö Sweden feb. 2019. Minna Weurlander is supported by the Swedish Arts Council, the Swedish Arts Grants Committee, the Swedish PerformingArts Agency and Sten K Johnsons Stiftelse. Minna awarded with The Swedish Arts Grants Committee´s long-term grant! Valle Music/MWmusica will release a new album on spring 2019. 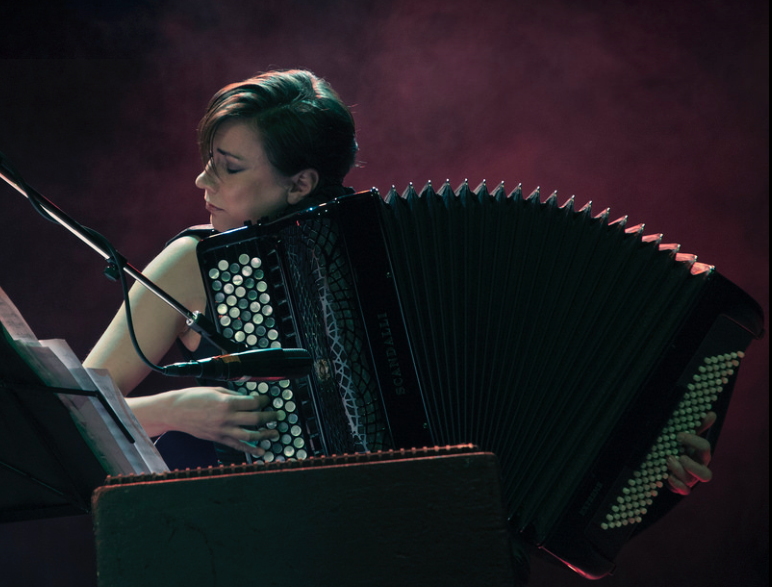 MINNA WEURLANDER- accordion & Pomona String Quartet. Music by Kurt Weill, Saul Cosentino and Minna Weurlander. This production is supported by Sten K Johnsons Stiftelse. Many thanks for the generous contribution! Minna is composing music for a theater play ENSAM & ESMERALDA by Martina Montelius. Premiere 6/10 2018 at Sagohuset in Lund. Valle Music/MWmusica presents Minna and Duo Naranjo-Weurlander at Classical next in Rotterdam. Duo Naranjo-Weurlander, Artist of the year nominee 2018! Duo Naranjo-Weurlander is nominated for the Artist of the year at The Folk and World Music Gala 2018 in Sweden. MINNA gets STIM award 2017. Listen samples of her music here! MINNA is one of the STIM award receives 2017 (Swedish collective management organization for music creators and publishers). DUO NARANJO-WEURLANDER´s second album “INFINITY” is out now!!! Duo Naranjo-Weurlander’s second album as a duo – Infinity – is a journey through their musical roots, as well as a collection of original compositions reflecting their individual lives and experiences. Through a constant search for new expression in delivery and composition, the Duo have created their own unique sound and genre. Their music is deeply personal – full of lust and nostalgia, virtuosity and restraint – creating a landscape of sound that presents the listener with an almost cinematic experience. After their first album – Entwined – the Duo have been touring extensively in and outside of Europe, performing at a large array of international venues. From world renowned concert halls and theaters to tiny jazz clubs – their powerful performances and compositions have impressed audiences and critics the world over. Both Naranjo and Weurlander have long been recognized as strong profiles and performers on the classical, world and jazz music scenes. Now they have also taken their place as composers in their own right. They have worked on music commissioned for radio, cinema and various ensemble pieces. Duo Naranjo-Weurlander is based in Sweden. New videos on youtube! Infinity teaser and Cool remix. Minna is accordionist in Malmö Opera´s next show Fiddler on the roof. Premiere 2/9 2017. Minna is composing at the moment for Duo Naranjo-Weurlander´s new album (release 2017), for her solo album Karelian Lights (release 2017), for string quartet and accordion (premier july 2017), for theather play “Sjätte kontinenten” at Sagohuset in Lund (premier sept. 2017) and production PULSE ELECTRA with Duo Naranjo-Weurlander. 21/7, 18:00 at Kiviks kapell, Musik i Äppelriket festival. 21/7 Minna Weurlander with POMONA string quartet at Kiviks kapell/Musik i Äppelriket festival. 8/5 Seniorgalan at Malmö ARENA, Rickard Söderberg, Minna Weurlander, Petri Sångare, Alexander Einarsson, Tommy Juth & Lasse Berggrensson, Kapellmästare Carl Adam Landström. 18/3 Folk & Världsmusikgalan , Helsingborg Concerthall, Duo Naranjo-Weurlander, Swedish radio live. Check out new videos! Music by Minna Weurlander. Duo Naranjo Weurlander with Stockholm Wind Orchestra!!! Minna Weurlander composes music to Theatre Sagohuset´s next project “Sjätte kontinenten”, Le 6° Continent . Première autumn 2017. Duo Naranjo-Weurlander at the World Music Gala, “Folk & Världsmusikgalan”, the 18th of Mars 2017 at the Helsingborg Concerthall. DUO NARANJO-WEURLANDER WILL PERFORM THEIR MUSIC WITH STOCKHOLM BLÅSAR SYMFONIKER, The Swedish Winds Ensemble. Conductor Jonas Dominique. 18/2-2017 at Musikaliska in Stockholm. Duo Naranjo-Weurlander plays at Gerlesborg Sweden 7/10 . Baltic tour 3-8/11 2017, 4/11 Kaunas Lithuania, Kauno valstybinė filharmonija. NEWS! 18/2-2017 Duo Naranjo Weurlander together with The Swedish Wind Ensemble from Stockholm performing music by Duo Naranjo Weurlander! Minna Weurlander is currently working on her new soloalbum and album with Duo Naranjo-Weurlander, release 2017. Booking now for fall/winter 2016 and spring/summer 2017. Minna Weurlander is supported by the Swedish Arts Council, the Swedish Arts Grants Committee and the Swedish PerformingArts Agency. 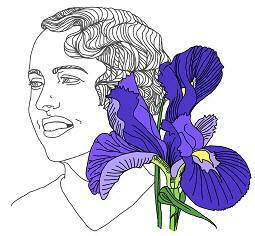 Minna Weurlander is one of the “IRIS Stipendiet” awarded women 2016. ” To progressive women who demonstrates an extraordinary ability and motivation”. Minna Weurlander plays with Vertavo Quartet at Malmö Chamber Music. 24/9 21.00 at Grand Öl & Mat. Listen now free on Spotify ! Minna Weurlander is supported by the Swedish Arts Council, the Swedish Arts Grants Committee, the Swedish Performing Arts Agency and Crafoord Foundation. Minna Weurlander at Swedish Radio jan 2016 ! “Fyran möten” ( four gatherings). Minna Weurlander meets oud player Ali Sabah. Radio documentary and live concert recorded at Malmö Live. She is currently working on her new soloalbum and album with Duo Naranjo-Weurlander, release 2016-2017. Booking now for fall/winter 2016 and spring/summer 2017. Solo program, Duo Naranjo-Weurlander and program with orchestra and string quartet. Contact here! DUO Naranjo-Weurlander in Denmark and Germany 2016! October-November tour in Sweden 2015 with DUO NARANJO-WEURLANDER :2/10 Göteborg, Woman in Jazz Festival, 13/10 Sundsvall, Tonhallen, 14/10 Sollefteå, 15/10 Sundsvall, 16/10 Härnösand, Tangopalatset, 21-25 Womex in Budabest, 7 /11 Malmö Live/Mix Musik, 11/11 Hässleholm Kulturhus/Mix Musik, 12/11 Mejeriet/Mix Musik, 13/11Dunkers/Mix Musik, 18/11 Bollnäs, 19/11 Gävle Konserthus. 30/5 Duo Naranjo-Weurlander at 2015 ISPA Congress Malmö/Copenhagen . Minna is also composing at the moment for Duo Naranjo-Weurlander´s new album(release 2017), for her solo album Karelian Lights (release 2017), for string quartet and accordion (premier july 2017) and for theather play “Sjätte kontinenten” at Sagohuset in Lund (premier sept. 2017). 21/7 Minna Weurlander with string quartet at Kiviks kapell/Musik i Äppelriket festival.